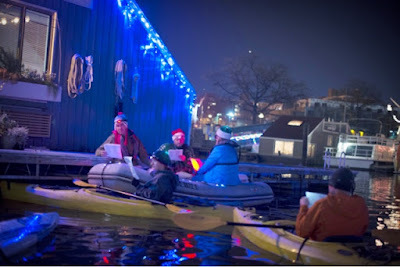 On a chilly winter night, as they do every year, Gangplank slipholders boarded their dinghies, kayaks, and SUPs, to spread Holiday cheer to all the liveaboard boaters. 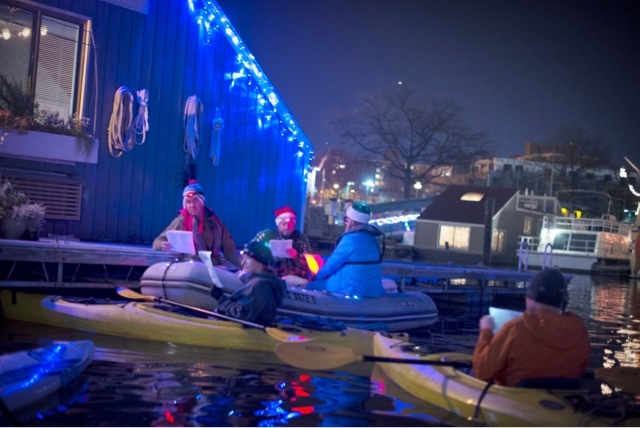 This year there were over 15 slipholders participating in Dinghy Caroling on the night of December 16th. Songs included "Jingle Bell Rock", "Silent Night", "Holly Jolly Christmas", and more!